Thank you supporters of our Home for the Holidays Campaign and customers of our Christmas Trees and or Holiday Wreath. Proceeds from the sale of trees and wreaths.benefit Albany Helping Hands shelter and kitchen operations. If you would like to contribute there is the need for 2018. Please donate by clicking here. As of the end of November 2017, Albany Helping Hands served 86,841 hot meals over the twelve month rolling period ending November 30th. The 11 month upward trend in the need for services continues. Meal service count is up more than 11% over the same period last year. The count (census) of nightly housing is up even more, with a 12.4% increse over the same period. You will find more information at our Meal Count & Housing Census web page. These beautiful cards were designed by AHH's Wayne Oakes. Click on card image or here to download for viewing or printing. Christmas Cards Past And Present for printing and download. These beautiful cards were designed by AHH's Wayne Oakes. Radio Commercials: We've posted radio commercials as mp3 files for listening or download. These ads aired as a paid radio ad schedule (paid for by donor) or as Public Service Announcements (PSA). The 30 and 60 second radio commercials include ads for Christmas Trees, Home for the Holidays, Anniversary Fundraiser, Crazy Days and Spring Retail. To listen or download click here. Radio Interviews with AHH Board Members, Management, Staff, Volunteers and Guests. Download and LIsten to Podcasts of the latest and archived mp3 files from live radio broadcasts on KGAL's Valley Talk. The latest posting the Valley Talk radio interview from November 15th. Topics Include the opening of five Albany Helping Hands Christmas Tree Lots, plans for additional housing, Anniversary Fundraiser update, latest housing census and meal service count and the upcoming Home for the Holidays on the Radio. Representing AHH was Development Director John Donovan and Jim Willhight Media/ Development Consultant who was joined by KGAL Newshost Jeff McMahan. Newspaper Stories: Albany Democrat Herald articles featuring Albany Helping Hands guests, volunteers and staff. He that hath a bountiful eye shall be blessed; for he giveth of his bread to the poor. Pastor John's latest blog "The 'House Of Bread' Provided The 'Bread Of Life' --The Greatest Gift God Has Given Us! " is posted online here or you can find it in our latest newsletter. Do to the generous support of contributors we raised $25,600 for our 19th Anniversary Fundraiser, more than 1/3 over our $19,000 goal. Thank you for your warm hearted contributions. Learn about the ministry of Albany Helping Hands, it's faith based mission and methods plus it's history back to the 1980's and the growing community of generous supporters, donors and volunteers. For a description of services, programs, and facilities at Albany Helping Hands, click the What, Who, Programs, Retail and News sections. For information on our Thrift Store, Firewood Lot, Pasture Raised Chicken Farm or our U-Haul Rental Dealership, click on the links (in blue) or the "Retail" link on the main menu. To talk with us or arrange a tour please contact Pastor John or Wayne Oakes at 541-926-4036. Albany Helping Hands is now a U-Haul Rental Dealer. Trucks, Trailors, Auto Haulers, Packing Supplies we have them. Click here for more information. If you have donated thank you for your caring and generosity. Nineteen years of generous donations have been transformed into blessings for those in need, impacting lives on a daily basis. We thank the caring individuals, churches, organizations and businesses who have contributed to Albany Helping Hands, your generosity is greatly appreciated. Your new donations are welcome and are critically needed for us to continue our ongoing ministry. Please contribute online with a secure one time credit or debit charge to your MasterCard, Visa, Discover or American Express. If you prefer, please mail your check, drop off at office, or phone in your contributions. Click image of coupon above and print then present to Albany Helping Hands Thrift Store clerk to save $5.00 on a $20.00 purchase at our Thrift Store. 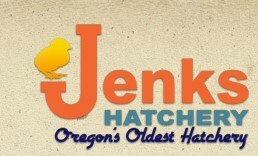 Also print coupon to save $4.00 on one of our Pasture Raised Chickens. Present to clerk at Albany Helping Hands Woodlot or U-Haul to purchase our chicken. Please click here for our latest Newsletter featuring Pastor John's message, fundraiser updates, Christmas Tree Lot Locations and a $5.00 off Christmas Tree Coupon.